Photograph This! : With a Little Help from my Friends. day light with a Q Flash and a softbox. I tried to be subtle, but the effect is quite evident. The flash was 1.5 yards from the model (hey Laurie!) at camera left pointed a bit down. Shot at 32mm 1/100th f 4.0 ISO 100. Flash power down to 1/8. 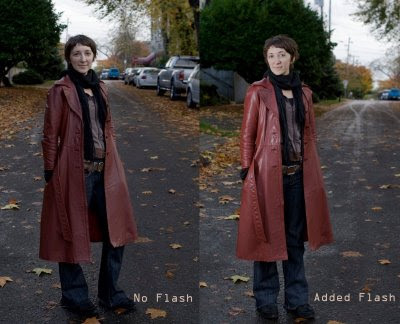 Note to self: use longer focal length for better blurring of background+make flash less evident.